Another week has gone and Friday is here! So what’s been happening in the cake case kitchen this week? Well on Monday we sent out little luau girl cake topper out into the world, much to the joy of its 7 year old birthday girl recipient! We have also been experimenting with hot cross buns this week, nothing like a chocolate orange twist on a traditional recipe. So the kitchen snack tin is rathe full at the moment of millionaires shortbread and chocolate hot cross buns. Personally, I am on the count down to my 30th birthday! Eeeeek! Only 18 days left to go. Not totally sure I am looking forward to it in all honesty, but need to make the most of the next couple of weeks. 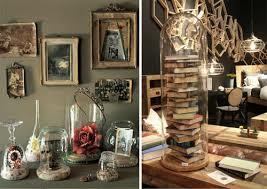 On the wedding front, I have been collecting large old style jam jars ready for all sorts of baking creativity. As well as looking forward to visiting the pop up wedding village next month at calke abbey – not exhibiting, but visiting as a bride. (That still sounds weird to me, my hair dresser referred to me as a bride the other day and I was like oooh yeah I am!). So what’s in store for the coming week? Individual Easter cakes for starters and a wedding cake! So for some reason, my friday fun blog post didn’t work on friday…..I blame the thought of the clocks going forward and losing an hours sleep! So what happened at The Cake Case HQ last week? 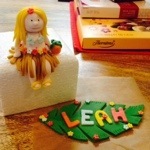 We have an order for a lovely luau girl to go on a birthday cake, really looking forward to doing some modelling to finish off someone elses cake, it’s nice to be able to help add those all important finishing touches. The website is stil being updated – expect to see our logo and wedding cake photos being added this week! So excited to finally get the websit finished off! I spend the weekend with friends and family, Saturday was wedding dress shopping, it was great to spend the day with my sister, mum and friend/bridemaid Lucie. Some of the dresses were stunning, some hilarious and others just did not suit me! All in all an awesome day out though, and my 11 week old nephew was fantastic through the whole ordeal. Sunday kicked off with trialling home made marshmallow recipes, testing for our baked treats counters for weddings (coming soon!) followed by a few family visits to drop off cards then ice hockey with the Nottingham Vipers. A 3-3 draw against Kingston was a decent result, but a win would of been better. In store this week, is a 6″ surprise birthday cake and cake topper modelling as well as wedding cake designing and baked treats recipe research…..I love it when research is edible! And what better way to spread the happiness than with cake?!? JH web agency in Nottingham did just that this week. 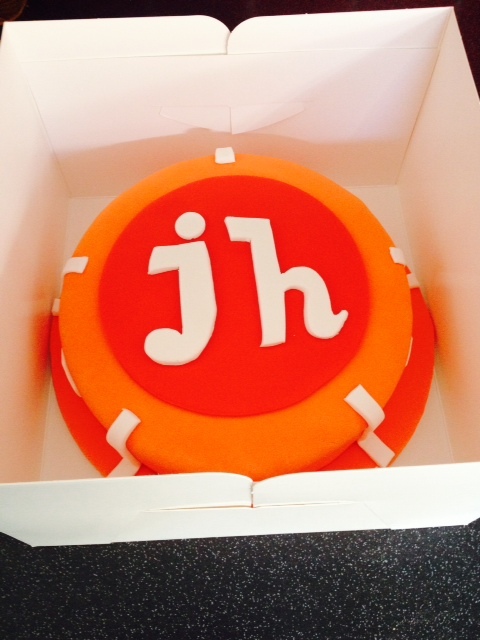 To celebrate their Magento Dev Plus certificated development team, Jamie from JH commissioned The Cake Case to make a JH and Magento inspired cake. So where do you start with a cake like that? Well from a design point of view it is important to work with the client and develop a cake design that best reflects them. In this case we centred on the signature JH and Magento colours (Red and Orange) and worked from there incorporating the JH and Magento logos around the cake. And of course with the lads that work on the dev team, and the rest of the JH team in the office, we just knew it had to be a chocolate cake! Know your staff! Needless to say the cake didn’t last long when Jamie unveiled it to the team on Monday lunchtime, and we have heard nothing but good things from the team since. More pictures should be uploaded onto our web page this week, so if you are looking for a corporate themed cake, why not get in touch with The Cake Case…. Cupcakes . Duff Goldman hates them, but is the cupcake trend here to stay? Sometimes I just can’t make up my mind about cupcakes. 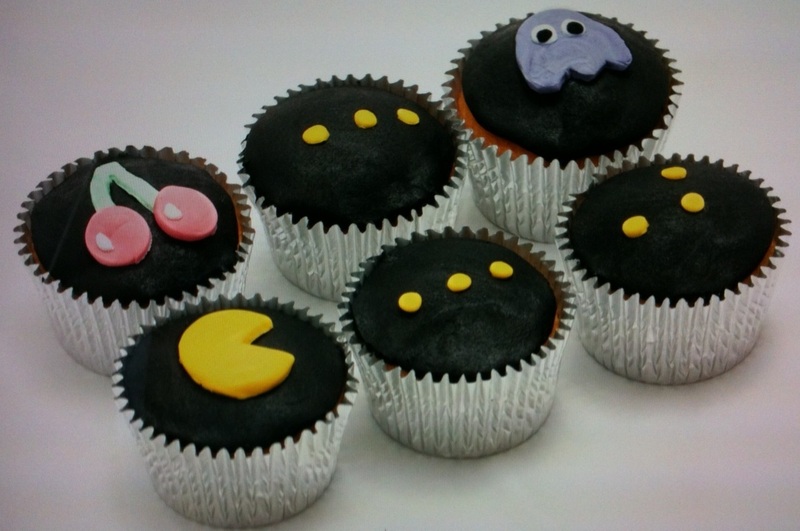 On one hand I love them, they are bite sized, fun to make and decorate, you can produce a range of designs all in one go (my favourite is still my pac man cupcakes I produced a couple of years ago) and have as few or many as you like. And to be honest delivering a box of bright and colourful cupcakes just puts a smile on my face. A few years ago they were hailed as cheaper alternative to a large celebration or wedding cake and the trend really took hold, but now I see many people moving back towards single or multi tiered cakes instead. When you see cupcake stands popping up all over the place I actually think it isn’t too hard to figure out. Don’t get me wrong, I don’t mean every cake shop selling cupcakes! 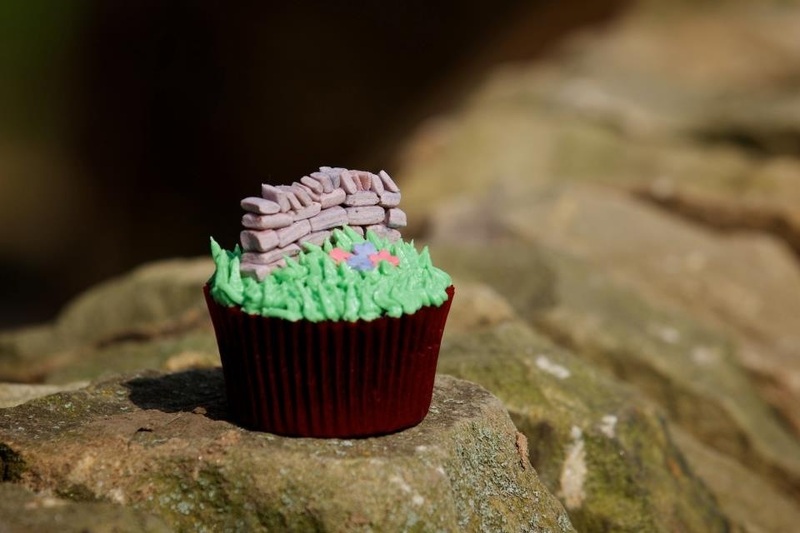 Some are beautifully done cupcakes, you know the ones, sold in a stunning little shop around the corner from you or down one of the back streets in your local town centre. These are the shops that love baking and love producing good quality cakes and cupcakes that warrant the price they charge, the time, the precision, the art…. But more and more often I see companies jumping on the cupcake band wagon to make a quick profit, mass produced cupcakes sold in shopping centres at what I would consider bespoke cupcake prices, and quite frankly they are not the same quality I would be happy producing, with some at £3.50 a cake, are they really cheaper? When you think the average 8” cake costs approx £50, which works out at about £2 a portion, there really isn’t that much difference between the two (I mean if you are going for good quality cakes). And that’s the key word here, quality. Like anything, you need to make sure you are getting what you pay for. If you want cupcakes for your wedding or celebration, then go for it, they are a fun way to present your cake. But support your local cake shop, the one that you walk past every day, the one where you stare at the array of colours in wonder before licking your lips and carrying on to work, talk to the cake designer and make sure you get what you want. I think the cupcake bubble will burst…or at least deflate a bit and the large mass producing cupcakes stands will start to disappear, but that beautiful little cake shop will still be there, doing what they do best, creating you any kind of cake you like! 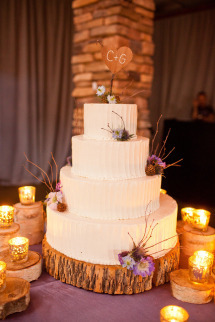 The ways of displaying your wedding cake are getting just as creative as the cakes themselves. 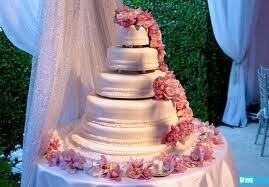 Brides all over the country and adapting there cake display as much as they are their table centres. I think the traditional wedding “rules” are really being broken…. 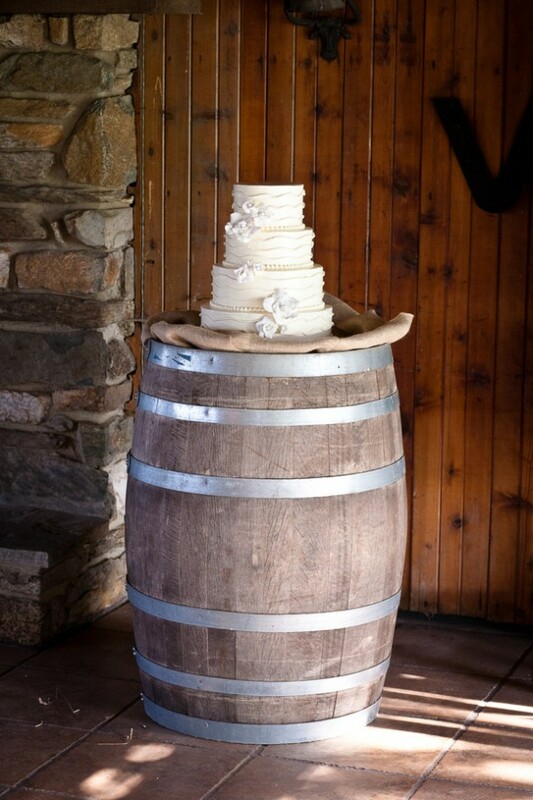 I love the rustic style of having the wedding cake displayed on barrels. It’s cute and simple yet lets the cake take centre stage whilst keeping in with that farmhouse style wedding that is becoming increasingly popular this season. 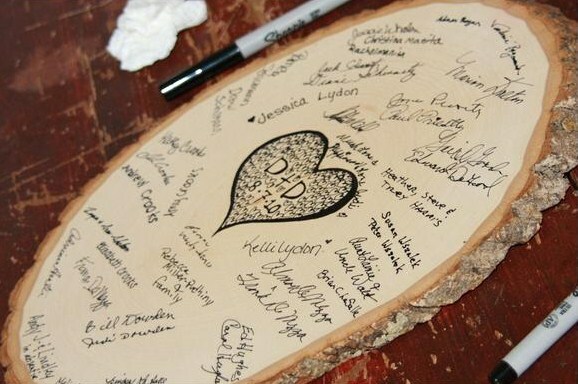 Take a look at this example I found on http://rusticweddingchic.com/marriott-ranch-country-wedding through pinterest. Also a bit of burlap never hurt anyone…. Keeping with the rustic theme…. Another simple yet effective presentation technique proving really popular at the moment is the wedding cake presented on a tree stump or “slice” of tree. Think summer, marquee, bunting…..what could go wrong?! 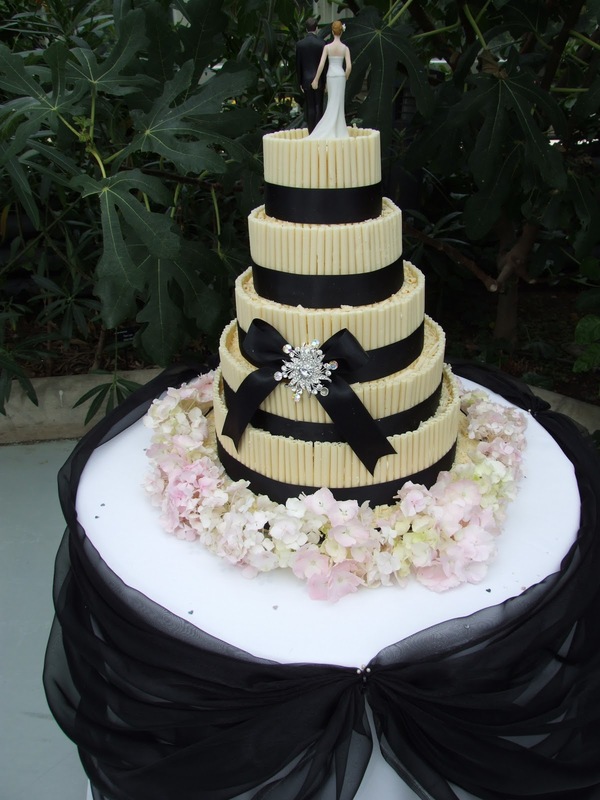 OK so having your wedding cake surrounded by flowers isn’t anything new, but there are so many ways to go about it. your can wrap the base in straw and bright flowers, go for a beautiful light ring of baby’s breath or make a real statement way flower swags around the top of the cake table. If you are into a bit of old school glamour, nothing can beat a traditional silver cake stand. Best suited to regal venues, think champagne, chandeliers and white roses! 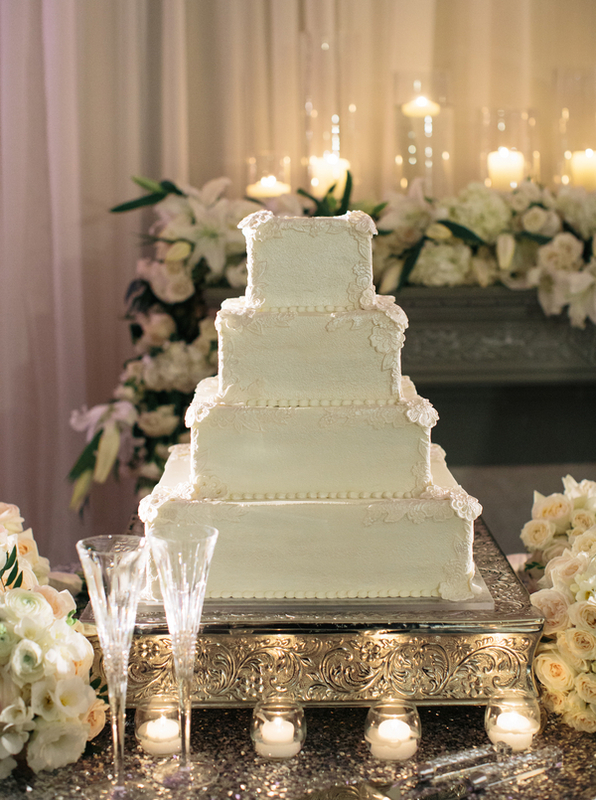 Of cake that is, or display your cake as part of your sweetie table. 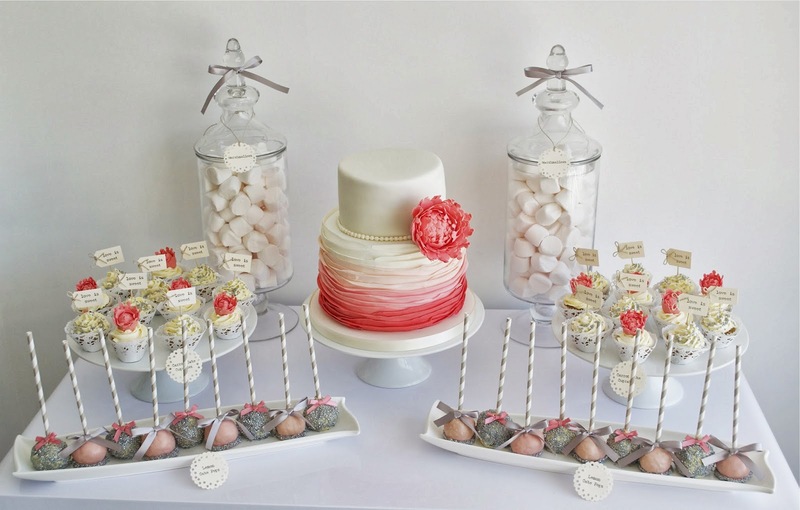 I love the idea of a colour theme sweetie table with the cake pride of place in the centre, just look at this example by sugar ruffles. 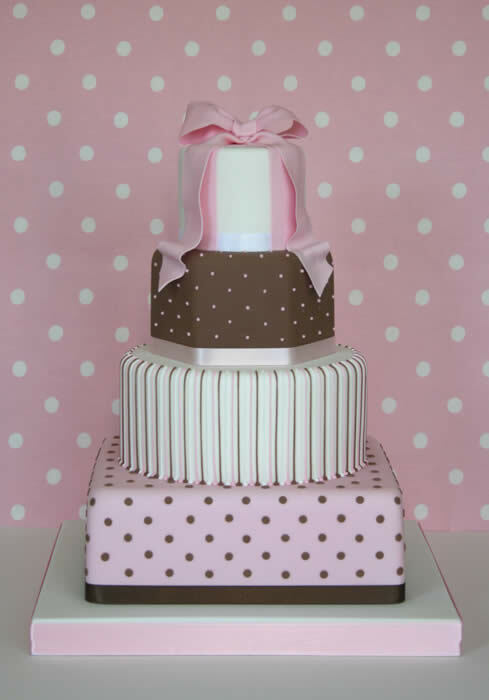 I am so excited about doing a couple of cakes with sweet tables like this during this summer! Remember if you want a wedding or celebration cake quote from The Cake Case get in contact via the website/email, we still have some slots available for this summer! 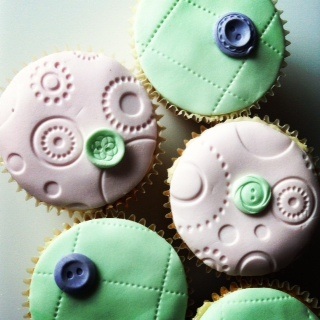 I have been so busy in the kitchen I appear to neglected the Cake Case blog! That just won’t do…. Expect lots of lovely new cake pictures and details over the next couple of weeks to make up for it! So the wedding planning has arrived at the all important cake. Where do you start? and, what happens to the cake after? Here are a few little hints, tips and ideas for your cake. I have been to plenty of weddings where the cake is served as dessert, in the evening or boxed up as favours for the guests – all excellent money saving ideas. You already have the cake, you should let them eat it! I fully intend to cut the bad boy up on the day and serve it to the guests, everyone loves a midnight snack and you cant go wrong with cake! Can’t decide on a flavour? The groom wants carrot, you want chocolate?! Easy solution, talk to your cake creator and incorporate both flavours into your cake design. Each tier can easily be a different flavour. My personal favorite flavour is chocolate cake with a cookies and cream filling! Photos are always going to be your ever lasting keepsake of your special day, but how else can you remember those special moments? If stored carefully handmade sugar flowers can last for years. I have also seen, through the power of pinterest, there are companys (American I think) where if you send images of your wedding cake they will make a miniture replica that fits in the palm of your hand. How cute! 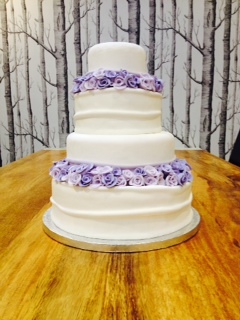 Its been a busy week at The Cake Case; a birthday cake order to design, a trip to Pairs (research of course!! ), a day at Disney and a proposal! Yes a proposal! I have officially joined the “planning a wedding” club. Bring on the cake!! I am currently designing an Arsenal themed birthday cake – think lush red and gold, with a shirt wrap and a few little features. I am not a “football person” so this a quite an exciting and different cake for me to be designing. I love being able to design a range of cakes and ideas for people! My 2 day trip to Paris was fabulous and lets face it, it is the home of patisserie. One of my personaly favourites is La patisserie des Reves; the whole presentation of the dishes is stunning, under giant bell jar style glass, it is a visual delight (Philippe Conticini has now opened a patisserie in London as well, under the same name). But there are also many patisseries on little streets that you could easily walk past, we stumbled across one of these fabulous places on our travels around Paris and I had the most delicious Opera cake (who doesnt love coffee and chocolate!? It’s a match made in heaven!). From walking around the city I also have some brilliant ideas for Paris themed cakes, mixing the beautiful architecture with the famous tourist attractions, I cant wait to get started! In light of my romantic proposal (yes he did it at the top of the Effiel Tower – yes I was petrified, do you know how high it is?!?) I have been adding cakes like crazy to my pinterest board of cakes, so why not head on over and take a look for some inspiration? !